Inforest Communications has launched the redesign of the Nassau Street Corporation Web site, http://www.nassaustreetcorp.com. 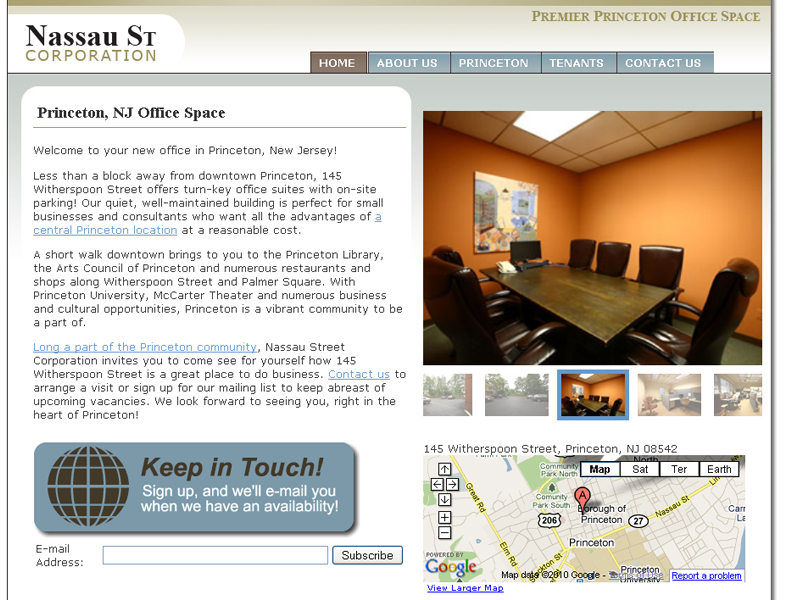 The Web site features 145 Witherspoon Street, a Princeton NJ office building (and home to Inforest). The Web site includes interior and exterior photos of the building as well as information on Princeton and environs. We also include a page on the background on HG Houghton & Sons, the company the built the building an many homes and office buildings in the Princeton area.